Autumn de Forest, who is collected around the world and represented by Park West Gallery, has promoted art education in U.S. schools and received an international award from the Vatican. 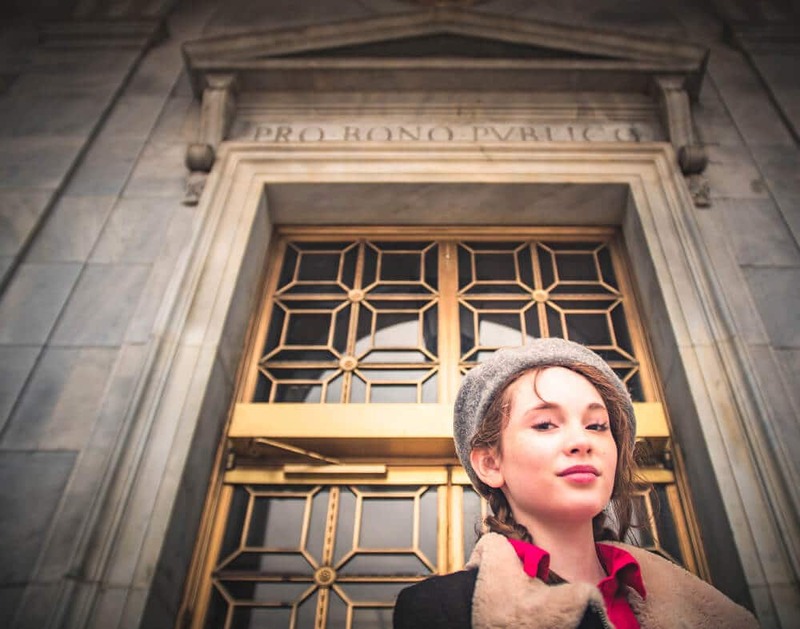 As of this month, the 14-year-old art prodigy can add yet another accomplishment to her growing list: Opening her first art exhibition at a museum. 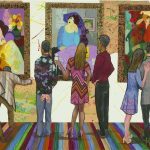 The Park West Foundation and the Butler Institute of American Art present “Autumn de Forest: The Tradition Continues,” featuring original works of art by Autumn until June 26 at the museum, located at 524 Wick Ave. in Youngstown, Ohio. UPDATE: Due to popular demand, the exhibition has been extended to Oct. 16. This is the second exhibition in 2016 to be underwritten by the Park West Foundation, the non-profit arm of Park West Gallery. The first was an exhibition at the Museum of Geometric and MADI Art featuring Yaacov Agam. Foundation Director Diane Pandolfi states that the goal of the exhibitions is to promote art awareness. 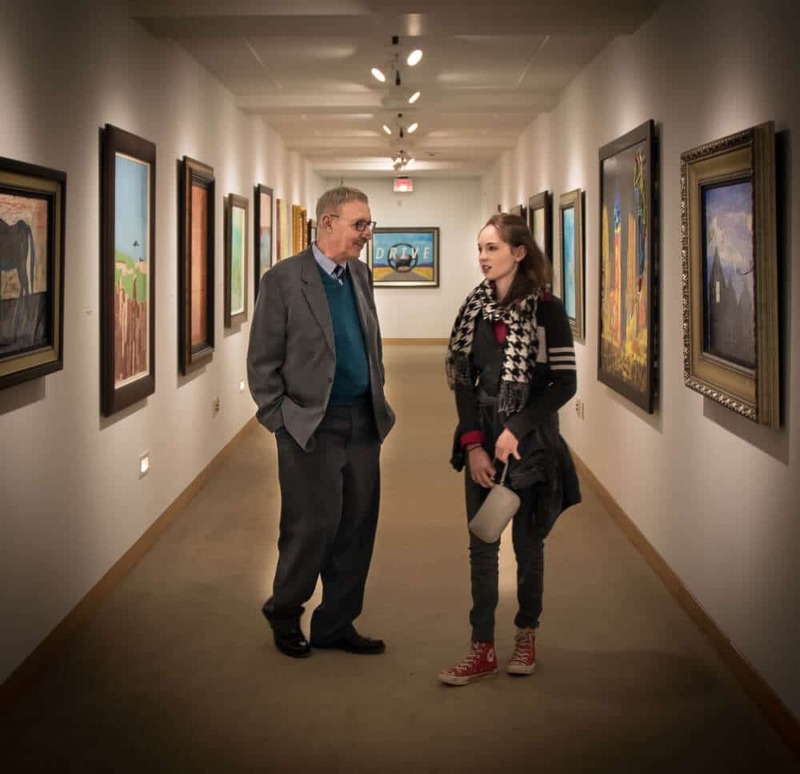 “Park West Foundation was proud to sponsor Autumn de Forest as an American artist in her first museum exhibition held at the Butler Institute,” Pandolfi said. 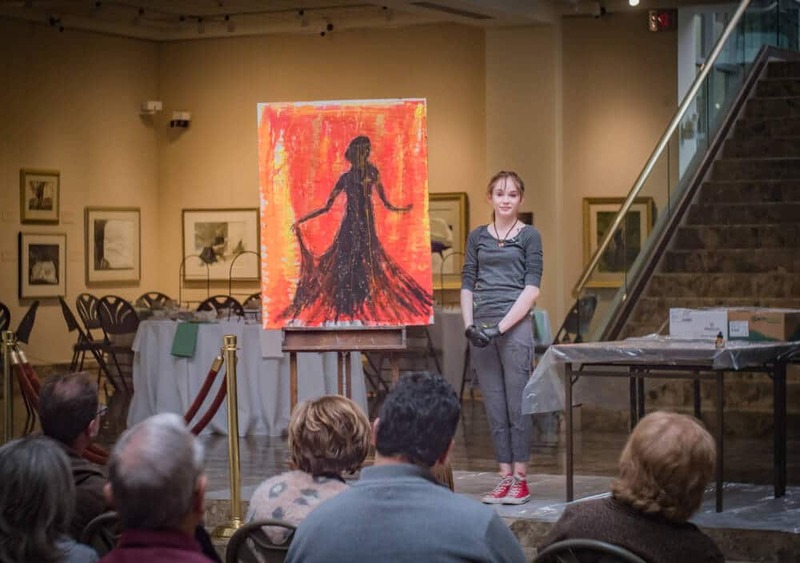 Autumn spoke with a crowd of 50 museum patrons during an artist presentation on April 9, providing insight into her creativity by demonstrating her “pull painting” technique. Pandolfi recalls the astonishment of the crowd as they witnessed Autumn in action. Autumn also met with the public at an opening reception held April 10, giving patrons the chance to meet the teenager behind the art. 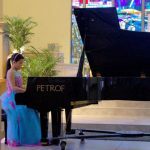 “Autumn responded with poise and confidence to the numerous questions asked during her two days at the Butler, revealing herself as a lovely and very talented young artist,” Pandolfi says. Autumn started painting when she was 5 years old. Since then, she has created representational and abstract art, all while experimenting with different techniques and mediums. She is self-taught, studying books about artists such as Salvador Dali and Pablo Picasso. She is influenced by other notable artists throughout history and pays tribute to them in her art, including Andy Warhol, Grant Wood and Georgia O’Keeffe. As the exhibition’s name suggests, Autumn comes from a long lineage of art world figures. 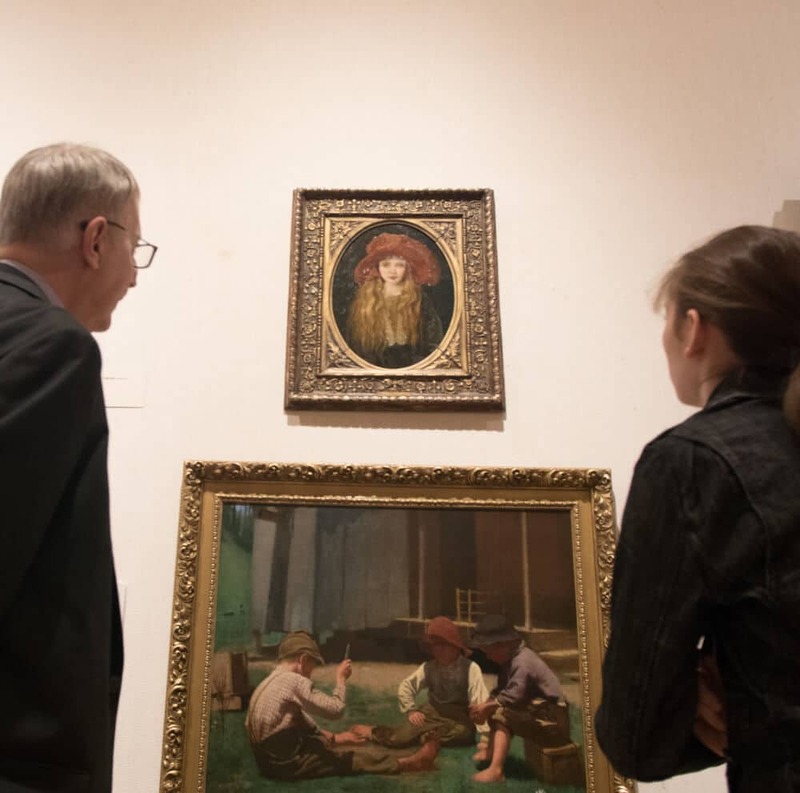 These include Lockwood de Forest (1850-1932), Autumn’s great-great uncle who was a painter with the Hudson River School; George de Forest Brush (1855-1941), an American painter with the Western School of Art; and Roy de Forest (1930-2007), a pioneer of the California Abstract Expressionist movement. Her family tree also includes Robert Weeks de Forest (1848-1931), a great-great uncle who served as the president of The Metropolitan Museum of Art. Thank you letting us enjoy her and her work in Dallas. She is so inspiring. Congratulations. Awesome. Glad to have met her years ago through Park West. We met her at a VIP event in Sarasota when she was 11 — bought her Universe of Love. Can’t wait to meet up with her again sometime soon! We have four of Autumn’s works. We purchased the prints on Priness Curise Lines. We love the pictures and her story. We have two of her pieces and love them. Is there a way to purchase or obtain a copy of her exhibition catalog? I have two of her paintings purchased through a Park West event. She was present and had a moving commentary on all her paintings and I was impressed by her poise, and public speaking abilities for 15 year old. She and her father then left for the Vatican for an exhibition of a very interesting painting that resembled the shroud of Turin. I too would like a copy of her exhibition catalogue. I have 3 pieces of her work. I will follow the above instructions to obtain. Thank you Bettie, we will let our gallery consultants know you are interested. I have had the fortune to have met Autumn on two occasions and I am in wonder of her talent, and ability to be an “old soul” when she talks about her work and a young teen at the same time. We are honored to own three unique original works.